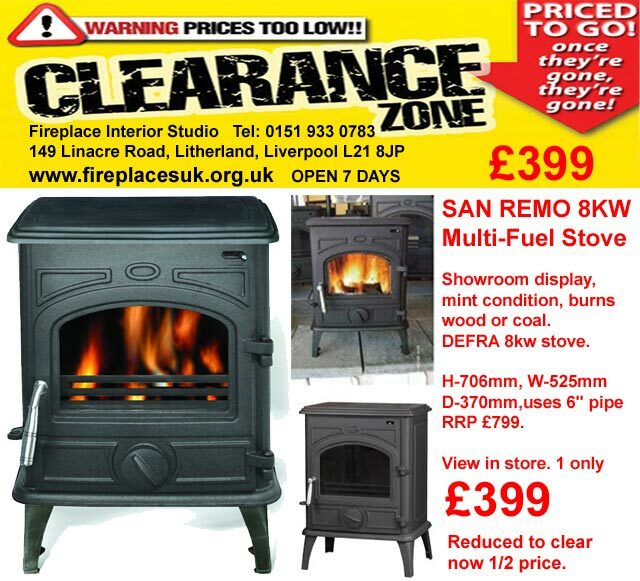 Gas fires for Anfield L4. 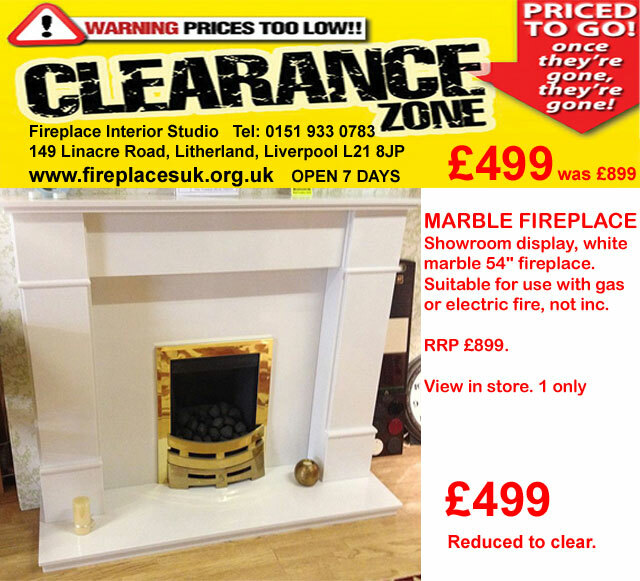 Supplied by Fireplace Interior Studio, simply 20 minutes from the Anfield L4, Liverpool area Merseyside, UK. 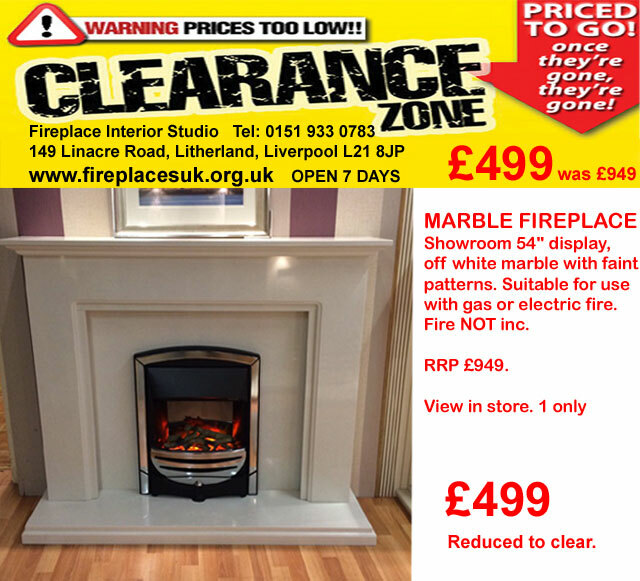 A specialist gas fire, fireplace and multi-fuel stove showroom selling fireplace interiors to the Anfield, Liverpool, Merseyside L4 area. Our gas fires and fireplace interior showroom is open 7 days a week. Follow the links to find the best gas fire/fireplace of your dreams. 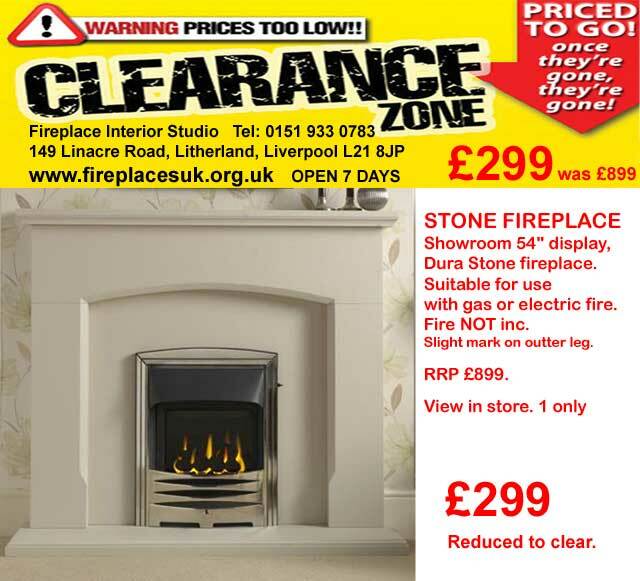 Need a Fireplace in Anfield, Liverpool? - We are 20 mins away. Display to Clear - view in store 1 only. Fireplace Interior Studio are Open 7 days. We supply gas fires by Crystal Fires, Valor, Flavel, Gallery, Burley, Sirocco, Robinson Willey at great prices. 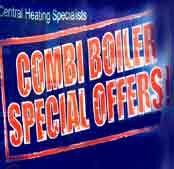 Cut fuel bills by using a multi fuel stoves by Carron, Villager, Sperrin, Firefox, Tiger Stoves. We stock all the major contemporary fire and fireplace brands, stoves in our showroom in Liverpool, such as Crystal Fires Liverpool, Newman Limestone Fireplaces, Dimplex fires, Valor Gas Fires, Burley Gas and Electric Fires, Gallery Cast Iron Fireplaces, Villager stoves, Broseley stoves, Tiger stoves, Flavel gas fires and many more top brand fires. We supply a range of assessories replacement fire frets. We have Gas Safe installers who service and install our gas living flame fires in the following areas: Huyton, Prescot, Breck Road L4, Anfield, Walton Road L4, Bootle L20, Litherland L21, Crosby L23, Seaforth L22, Kirkdale, Formby, Wirral and surrounding Merseyside areas.